CD’s West Coast District; Report Sent Along by Mr. Stan Bober!! 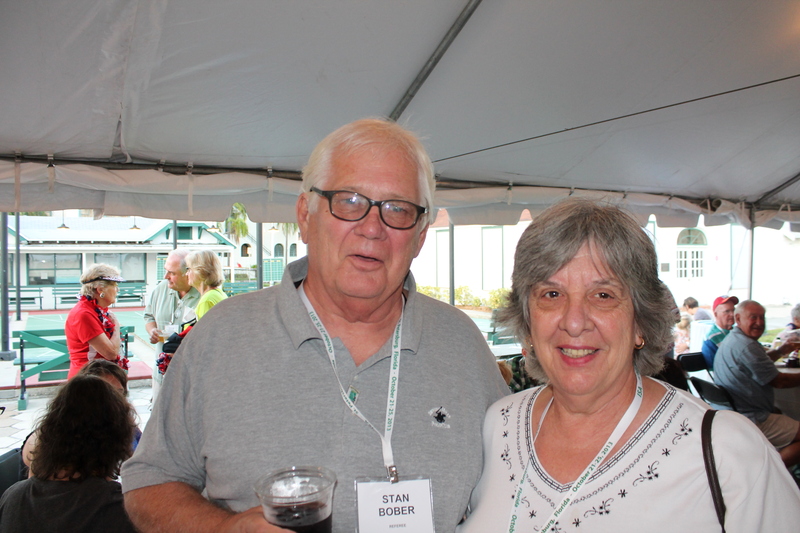 Stan Bober Speaks: I didn’t make it to the finals for pictures but Directors Ron & Ellie Prevost made sure we received the results. They’re great for keeping my wife Betty and myself informed. Ron & Ellie related to us the final match for Pro 1st. & 2nd. Place was a great match between Steve Raimondi – Mike Vassalotti vs. Sharon DesJardins – Pam Hill. It went the full 3 games and they were barn burners. The women gave them more then they bargained for. My partner, Nellie Daum, and myself can attest about Sharon & Pam’s determination as they beat us in the 3rd game in which I was sure we had in the bag! They made two straight bump shots that did us in. They earned that victory and our admiration!! 1 Response to CD’s West Coast District; Report Sent Along by Mr. Stan Bober!! Congratulations everyone. Pam, you go girl and I can’t wait to play with you.